willpower-energy makes it possible to transform atmospheric CO2 into fuel and to store energy - in your own home for your own home. Our vision is a world independent from fossil fuels. Our goal is to replace centrally supplied fossil fuels used for heating. We start in Europe, where heating accounts for more than 73% of fossil fuel usage and is responsible for 57% of all CO2 emissions in the EU-28 states. Next we expand our focus to the rest of the world: in 2013 in the US, heating accounted for almost 60% of the average household’s energy consumption; 86% of this came from fossil fuels! Our first target is the residential heating sector, which accounts for the biggest share of energy consumption. To make this vision come true, we introduce the world’s first residential power-to-liquid and CO2 usage system. The willpower system empowers everyone to produce their own fuel at home from surrounding resources: CO2, water, and electricity. The core is an internationally patent-protected electro-biocatalytical process technology that converts atmospheric CO2 into methanol. 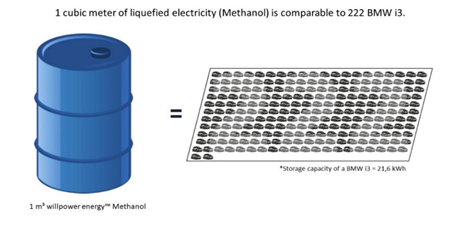 The clean and easy-to-handle energy carrier methanol can be stored and used for heating or electricity generation. CO2 can be regularly captured from the atmosphere or re-captured continuously from conversion (fuel cell, burning) processes. 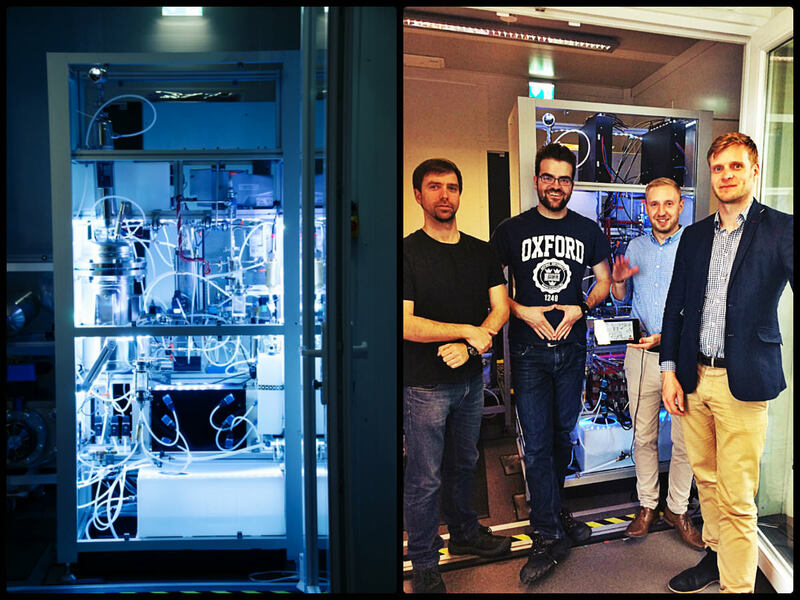 To this end, we use a technology from the European Space Agency (ESA) that captures atmospheric CO2 at a small scale (~10kg/ day) in an energy efficient way. Best of all is that the system can be installed directly in your house so you can produce your own fuel. The project is focused on making its first-of-its-class residential CO2 utilization and energy storage system applicable in non-industrial, residential scenarios. Atmospheric CO2, water, and electricity are converted under mild conditions (low pressure, ambient temperature) into a liquid fuel: methanol which can be easily stored, burnt or re-converted in electrical energy. The system is designed to supply a conventional single family home with sufficient energy for heating and warm water (on a daily basis). First studies conducted by Fraunhofer-ISE, Freiburg, proved that the system’s overall efficiency in a small scale setup reaches up to 62% (thermal usage of methanol). Decentralized storage system that is more powerful than conventional solutions. Besides offering a way to become independent of centralized fuel and/or heat supply, the willpower system also provides means to store electrical energy (from renewables). In comparison to technologies available in the market, such as standard battery packs, our system can store energy for longer duration (e.g. 140-160 days) using the same energy feed. The system is scalable and operates flexibly and does not need a start-up/cool-down time. The synthetic methanol is securely stored in a methanol tank while its production exceeds consumption and is further reconverted into electricity and thermal energy in order to supply buildings. The mini power plant (Silent-Power Econimo) is directly attached to the willpower-energy and provides a safe energy supply system, in which case direct contact with methanol as chemical is extremely limited. An effective method for grid stability and additional revenues for utility companies. With this technology, willpower-energy™ offers an effective possibility to absorb the increased fluctuations in energy grids caused by the increased amount of energy from renewable sources. Operated in a network, the willpower system thus provides a way to store energy in a bigger extent in a decentralized way. This helps energy suppliers and grid operators in their efforts to stabilize grids and earn money via suing renewables sources. That’s why our target commercial customers are utility energy suppliers who can lead us to our first target users of the system - private house owners / inhabitants. We build on a strong basis and target the adoption for a specific user scenario. The basis for this project has been laid in the H2020 SME – Instrument Phase 1 & 2 projects. Over the last two years we have shown the principal feasibility and the economic impact our solution can have on both the individual user and the economy as a whole. By the mid of 2017, the first full scale system started operations. So, we are now preparing the next step of the commercialization strategy: adaptation to the specific requirements of residential usage. Therein included are also corresponding business models and operations concepts as a decentralized storage network for grid stabilization / usage of excess energy. Strong protection of the Uniqueness. The system and its underlying technologies are widely protected by IPRs (12 patent families) held under Gensoric GmbH. This fundament has been described in more than 69 peer-reviewed journal publications and 12 patent families. 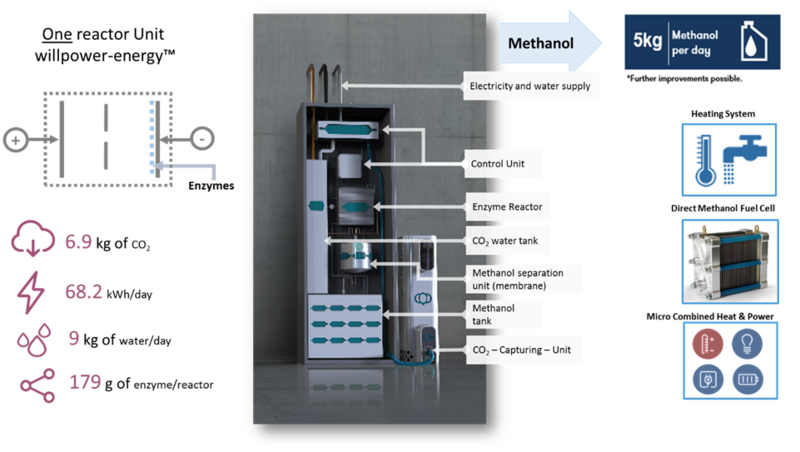 This scale-up concept allows flexible adaptation with low investments and continued production of methanol. The conversion of CO2 into methanol is a cascade reaction, i.e. the individual reactions are carried out in each reactor. These reactors are arranged in cartridges which can be combined to form "honeycomb" as shown above. An easy-to-replace plan was structured to maintain the operation of the equipment. Due to the enzyme regeneration and to ensure clean operation of energy storage system a replacement plan was elaborated. Every six months the willpower-energy™ “honeycomb” should be replaced, its design allows the exchange to be executed quickly and practically. Other necessary repairs will be performed once a year by members of the Gensoric‘s team. We are on the way into the market and have first customers. 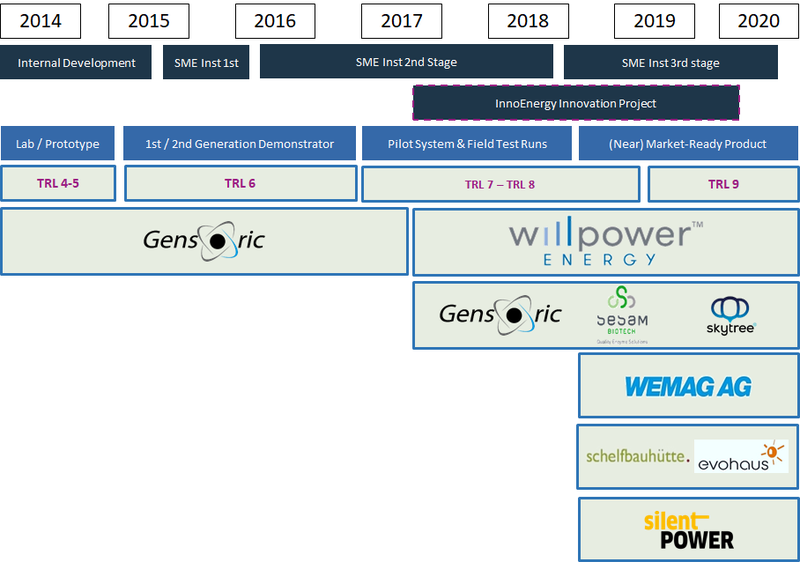 After the EU-funded H2020 SME Instrument phase-2 (general feasibility and first test runs), the advancement of the overall system into a market ready product for the first application scenario (residential building connected via grid) is our main focus. To ensure the commercialization we have required all partners along the value chain with a customer base of more than 4 Million customers in Germany. Also our strategic partner, Schelfbauhütte, an architect company which has considerable experience in building eco-friendly houses, will introduce willpower-energy™ to the community by installing the system in their new project, “Eco-friendly Complex”, in Schwerin. The device will proliferate through network effects. Further sales channels will also be acquired. All the partners that are required along the complete value chain are available. Gensoric GmbH is the developer of the overall willpower energy system and will act as the commercial partner. Skytree BV has been working on a tailor-made CO2 capturing device for the WP system for 6 years. In the project, this component will be refined towards the use on the residential scenario. Our product‘s operational cost and efficiency depends on the enzymes, the biocatalyst. By reaching scale, we are able to control the production cost. Through the early integration of Sesame BioTech GmbH, an industrial enzyme producer and expert in enzyme engineering, we have secured the core building blocks of the conversion reaction. WEMAG AG - German utility - Through their membership in the Thüga-Group, WEMAG offers access to more than 4 million. Customers in Germany, once the project delivers the intended outcome. 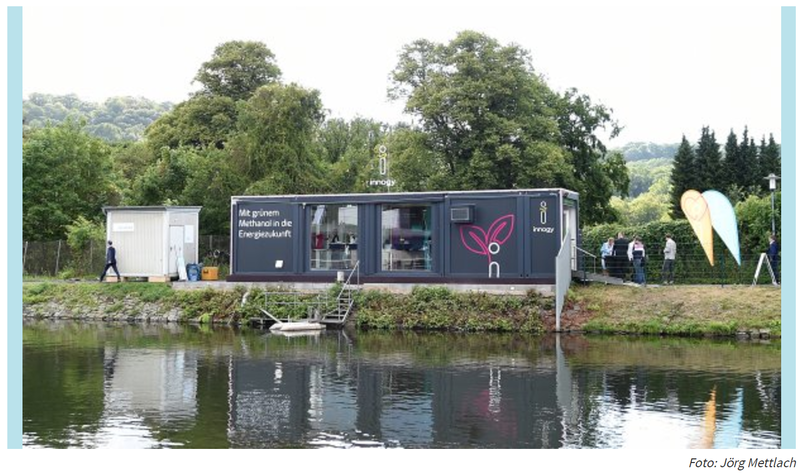 Schelfbauhütte, an architect company which has considerable experience in building eco-friendly houses, will introduce willpower-energy™ to the community by installing the system in their new project, “Eco-friendly Complex”, in Schwerin. EvoHaus, a company which builds low-energy houses, energy-generating quarters and are leaders in the ecological modernization of existing real estate. They will be responsible to help in the dissemination of the willpower-energy™ system into new and existent houses. Silent-Power AG, to enable the conversion of methanol back into electricity, heat and cold to the buildings, our partner will work on the adaptation of a methanol combustion cell that will be properly coupled to the willpower system, providing house owners a secure complete methanol production, storage and utilization system. Future partners for supply chain, production and logistics and also supporter in the German government have already been identified and contacted. With the help of these channels, we plan to reach bigger networks of customers and achieve sales in future. Meanwhile, we continue to look for more partners. Beachhead market will be Germany, where the number of customers amounts to approx. 37 million users. This business approach primarily targets the builders of new houses, as the decision which type of energy system will be installed is taken in the very first steps, when designing a house. Therefore, it is essential to team up with architects who can influence the decision-making process of the house builders. The next key market regions are in Western and South-Western Europe. Our initial focus is especially on those countries either with a strong solar power industry and a relatively high percentage of installed photovoltaic systems (e.g. Germany) or who are experiencing a stable upward trend in solar installations (e.g. UK, Spain, France, Italy and Austria). We target the residential sector, especially those privately-owned single-family houses big enough to carry suitable photovoltaic equipment. As of 2016 this consists of approximately 1.45 million units. Eventually we will expand to target other economically well-developed regions in the world, including the USA, Canada and Japan. 6.9 kg / day / house! 6.4 million Metric tons (7.0 US tons) CO2 can be avoided yearly. Our system has net zero emissions. It removes atmospheric CO2 to make clean-burning bio-methanol, replacing a conventional gas heating system and reducing emissions by 6.9 kg/day/unit. As of 2015 there are 2.5 million houses in 12 key market regions suited to carry the willpower-energy system. These are privately owned houses of with an installed photovoltaic system. 100% penetration of this market would lead to reduction of 6.38 million metric tons (~ 7.03 million US tons) of emission annually. This does not account for global photovoltaic market growth (projected to be up to 18% CAGR). It also does not take into account the untapped potential from houses that use other sources of renewable energy or the houses that use natural gas for heating or power and thus produce CO2. Thus, with these factors included, the actual potential to reduce CO2 is much higher, since the use of our technology leads to not only zero emissions but also carbon utilization (indirect CO2 reduction). Especially as photovoltaic systems become more widespread over the years. willpower-energy™ to achieve ambitious climate-protection goals - The decisive force in Gensoric’s target market is the sweeping change in the energy sector due to the issue of climate change. It caused an intensified global expansion of renewable energies and together with the political guidelines for energy efficiency of houses, this trend sets great challenges to players in the market and causes an enormous demand for new technological solutions. The German government has affirmed its goals to reduce the greenhouse gas emissions, in comparison to 1990, by at least 55 % by 2030 and by 80 to 95 % by 2050. Regarding to buildings, the climate protection plan contains a strategy for a nearly completely climate neutral building stock, which is intended to reduce the sector-specific CO2 emissions by two thirds already by 2030. The strategy includes strict specifications for efficiency standards in new buildings and for restructurings as well as the funding of heating technologies using renewable energies. There have even been some political demands to place a total ban on the installation of heating systems that use only fossil fuels from 2030 on. This is already the case in Denmark: the installation of oil and gas heatings in new buildings has been prohibited since 2013 and since the beginning of 2016, the installation of oil-fired boilers in existing buildings is banned as well. 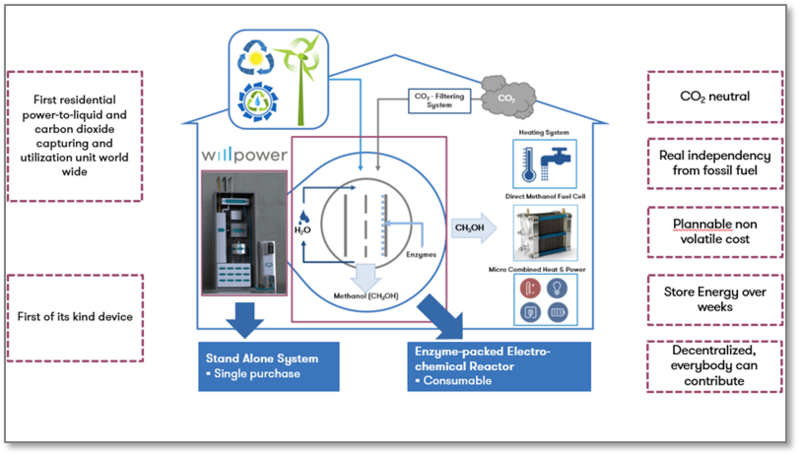 Willpower system as part of problem solution – Gensoric’s willpower concept is a technology that is suitable for achieving a climate-neutral heat supply in buildings and can at the same time contribute to the stabilization of the power grid. The latter point especially is an advantage over the heat pump technology whose power consumption profile shows a peak just in the cold and dark months where the power production from renewable energies yields typically less output. This leads to additional power requirement (from fossil power plants) and high energy costs, while the willpower system enables the user to specifically exploit the low-price periods. Moreover, the system offers a climate-neutral and thus future-proof alternative to energy suppliers and heating manufacturers whose current business models are already or are likely to come under pressure. Compatible with existing infrastructure. The willpower energy will be approved for use in currently existing heaters, lowering barriers to social acceptance. Discretely scalable. It can occasionally be employed in applications demanding higher output than that in the residential sector, energy generation and storage in communities, for farms and smaller commercial users. Eventually, substituting conventional fuels for transport is possible. We have secured 2.5 million € (USD 2.8 million) for the development and installation of our pilot plant through funding by European Union under Horizon 2020 SME instrument Stage 2. Further requirement of funds would arise at the stage of commercialization and market launch for which have we have financial support in the form of co-finance from MBMV (National Guarantee Bank). This has provided with much confidence to our partners. Support from InnoEnergy, who have been our partners in financing, business counselling, and development, has strengthened our organization. Since much support were needed to test, improve and scale the project, a strategic partnership with Innogy (RWE) for the development of pilot plant was helpful. To further secure funds for commercialization and continued product development, a crowd investment campaign has been performed since the beginning of Q3, 2017. In contrast to other CO2 utilization technologies, there is no need for scarce materials (rare earth metals & catalysts) which limits the widespread employment of the system. In fact, the production costs of enzymes produced at industrial scale are 0.1 € /g (food industry starch processing). In the calculations for our business model, we have considered the cost of enzymes, other periodic replacements and services as 250 € per unit. These costs are competitive in the market since we can control the costs through the production technology of the bio catalysts. We collectively call these costs as “consumable-reactor cost” and expect this cost to be bi-annual. Thus, our business model comprises of two revenue channels: 1) sale of reactor at one-time cost, 2) revolving sales to exchange consumable-reactors. The sale of consumable reactors will lead to repetitive sales. Through licensing, our strategic partners will be able to conduct sales and distribution of our one-time standalone system. Peer analysis reveals an average gross profit margin of 45-50% in this sector, which we have already considered in our production costs. Our goal is to decreases the prices such that yearly costs for heating are competitive with natural gas at 6 Euro-cent / kWh. Although it will initially be more expensive than gas but as demand increases, bulk production costs will go down. 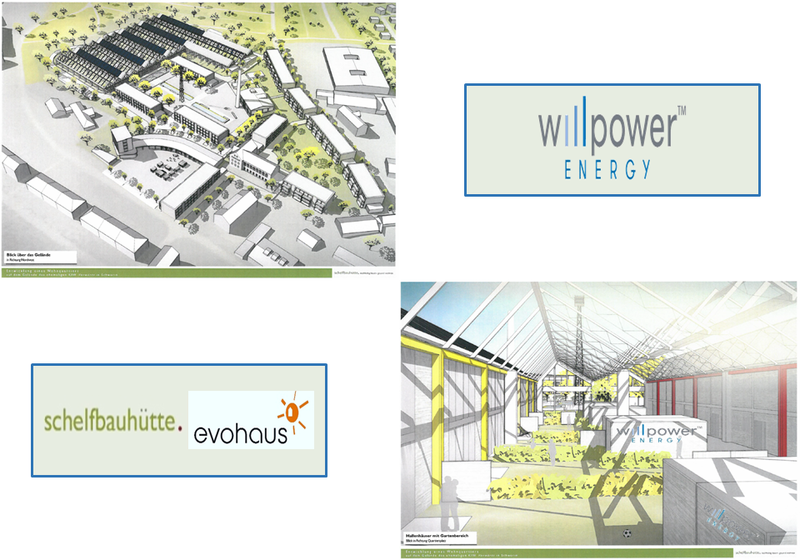 willpower energy also looks to the future of energy generation in Germany and worldwide. As the transition towards green and renewable energies continues and becomes more widespread, a sustainable solution for heating and energy storage must be developed. willpower energy offers both of these solutions. For market entry and commercialization, one of our strategic partners Schelfbauhütte and other building companies will provide us bigger networks. Also, our interactions with prospective B2B customers help us in customer discovery. The customer discovery phase continues till product launch in market and even further to provide ever improving solutions. We expect to commercialize our solution in Q1, 2019. To secure further funding, we have started, in Q3, 2017, crowdfunding initiatives. Lars Krüger is the business manager at Gensoric GmbH studied Business Engineering and holds an MBA of HHL (Germany) and EADA (Barcelona/ Spain). Lars is alumni of the MIT Sloan School of Management Technology Entrepreneurship Program. He co-founded this technology company and has been involved creating, implementing, and verifying the business model for Gensoric GmbH. Lars builds on 10 years professional experiences he has gained with Gensoric GmbH in successful turning R&D Projects into valuable products and services. His main areas of expertise are electrochemical and electrical technologies and devices. Christoph Herz studied Chemistry at the University of Rostock. During this he focused on analytical problems. Afterwards Mr. Herz took part in an „EXIST“-project in which he was deepening his skills in analytics and project-management. Because Mr. Herz is known to the effect and the technology of heated electrodes, he is working as scientist for Gensoric and is part of the R&D-team. Furthermore he is supporting the team with specific background-information about costumer’s application. Martin Schönhoff studied Electrical Engineering at the University of Rostock. There he specialized automation and control, simulation and device software engineering. Starting 2011 at the Gensoric GmbH he co-developed and tested several prototypes of devices and electrodes, which ultimately leads to the market entry of Gensoric’s ThermaLab-System. Presently he supervises the development of a willpower-system and several electrode developments for electrochemical applications. Nils Methling studied Industrial Engineering at the University of Applied Science Stralsund and has been part of the Gensoric team since 2013. During his studies, he gained experience in the fields of business development, project management and process management. His current work at Gensoric is to define the market entry strategy and he is engaged in the field of business development and project management.